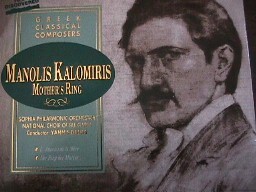 Urged by Krino Kalomiris, director of the Athens Conservatory and daughter of the National Composer of Greece Manolis Kalomiris, to record her interpretation of the role of the mother in Manolis Kalomiris's opera THE MOTHERS RING, she appears in this role in the first Greek Opera ever recorded with the Sofia Philharmonic and the Obretenov Chorus. She has since become an ambassador of Greek Classical Music always performing along with her theater engagements a wealth of compositions beginning with the Kennedy Center in Washington DC, Lincoln Center in New York as well as in Germany, Austria, Poland, Bulgaria and the Ukraine. She specializes in the dramatic roles of Verdi, such as Lady Macbeth, Abigaille, Elisabetta, Leonora in Trovatore and Forza, Puccini's Turandot and Tosca, and the Wagnerian heroines Sieglinde and Ortrund. 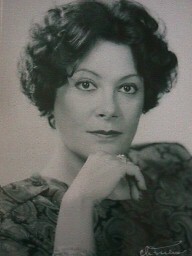 She has appeared at the Athens Lyric Theatre, The Athens Festival, The Heraklion Crete Festival, and the Samos Festival. She has recorded the role of Lady Macbeth in Verd's Macbeth with the Polish National Radio Orchestra. Recently she has expanded her repertoire to include the role of Elektra in R. Strauss's Elektra, which she has studied with Maestro David Aronson of the Vienna Staatsoper.